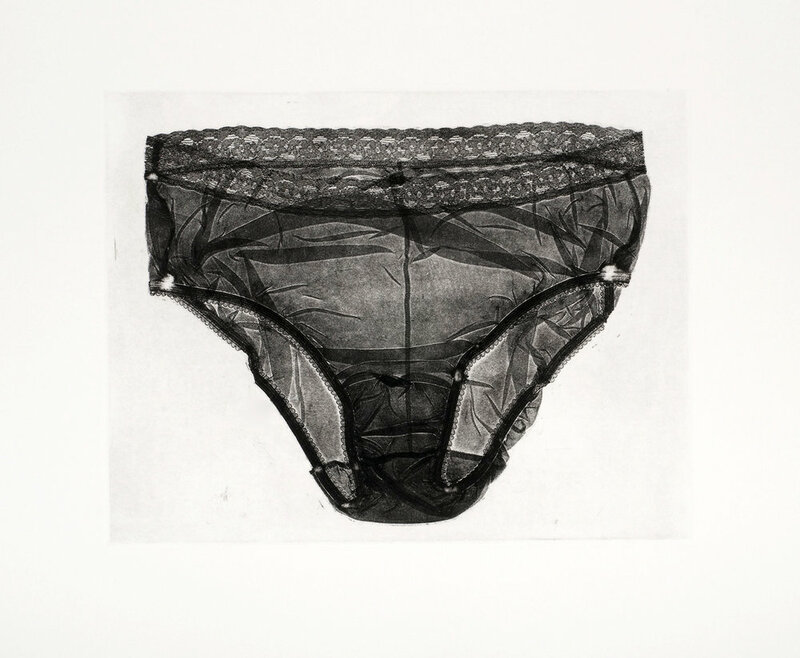 These soft-ground etchings come from the series InsideOut, a study of female underwear in Western culture. As consumers, we search for meaning and identity in the products we purchase. Through our clothing we decide how we want to be viewed by others. 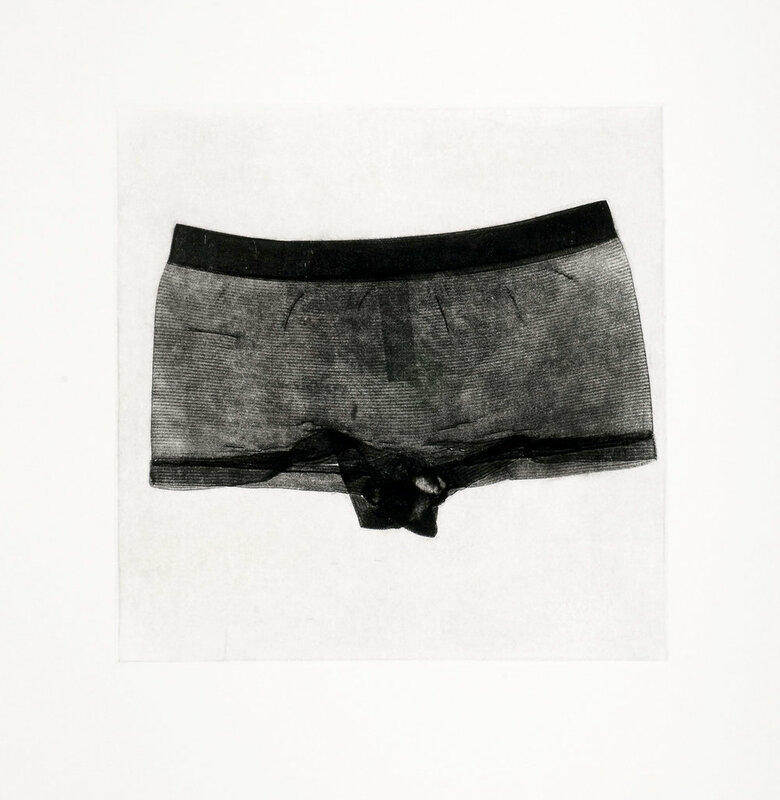 Just like everything else we wear, our underwear, although rarely seen by others, is a social signifier. The soft-ground etching process underlines both conceptual and visual aspects of this piece. 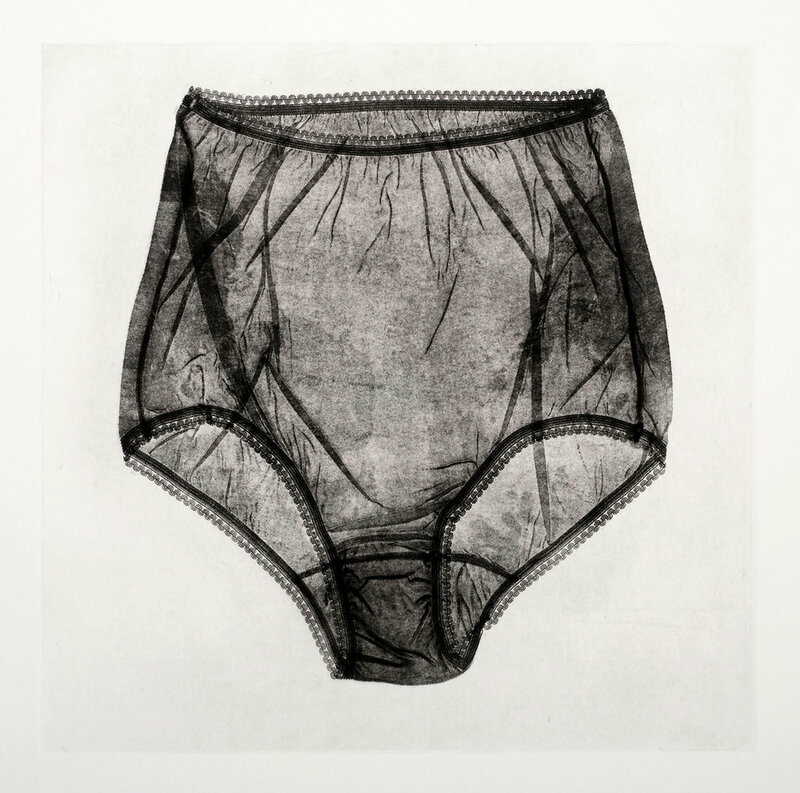 A soft-ground etching is created by literally squeezing the original object (in this case, underwear), through the printing press. This process leaves an impression on a waxy substance covering the copper plate, which when etched with acid, creates a matrix that can be printed. 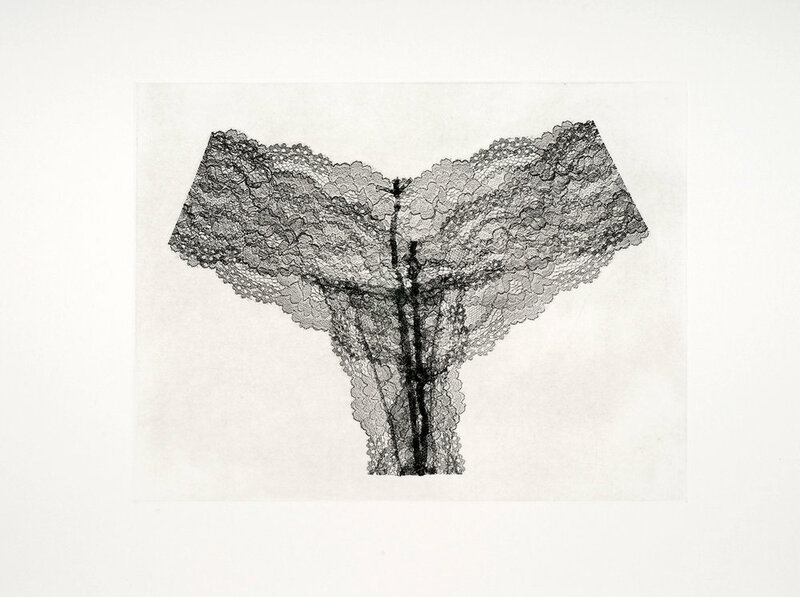 Both the act of creating the plate and the resulting printed image transform this common piece of clothing into a flat, empty object that cannot be worn, a package that cannot contain. Ultimately, the images become existential, revealing portraits.